The primary responsibility of the Professional Standards Unit is to ensure the integrity of the Owensboro Police Department. The PSU also monitors the relationship between the community and the Department and strives to nurture mutual trust. It serves as a mechanism of internal accountability by receiving, processing and investigating complaints concerning police conduct. These complaints may allege violations of criminal law or Department policy and may originate from outside sources or from within the Department. The goal of the PSU is to ensure that the integrity of the Owensboro Police Department is maintained through an internal system in which objectivity, fairness and justice are guaranteed by an impartial investigation and review of complaints made against any of our employees, policies or procedures. If, during an investigation, it is suspected that an officer engaged in criminal activity, the County Attorney or the Commonwealth’s Attorney is immediately notified of the complaint. Although the prosecutor determines whether the allegation includes sufficient elements to pursue criminal charges against the officer, the Professional Standards Unit remains responsible for the investigation. Sustained: Sufficient evidence exists to support that the officer is guilty of the allegation. Exonerated: Sufficient evidence exists to support that the officer is innocent of the allegation. Not Sustained: Insufficient evidence exists to support that the officer is guilty or innocent of the allegation. Unfounded: Evidence exists to support that the officer was not involved in the alleged incident. To Make A Complaint – Complaints can be made in person, by mail, by telephone or anonymously to Lt. J. D. Winkler or any supervisor with the Owensboro Police Department. During normal business hours you can call the Professional Standards Unit at (270) 687-8833 or the on-duty Shift Commander at (270) 687-8888. If you cannot make direct contact, you can call our Communications Unit 24 hours a day at (270) 687-8888 and they will contact the Professional Standards Unit or the Shift Commander for you. Either Lt. J. D. Winkler from the Professional Standards Division or the officer’s supervisor will investigate a complaint against a member of the department. And he will. The Chief of Police learns of all complaints against officers. Each of the officers’ supervisors are notified as well. We prefer to talk to you in person so that your information can be represented more thoroughly, but we will accept a complaint by telephone or letter. We may need to contact you for additional information to fully investigate your complaint. In some situations, such as a formal complaint, it will be necessary to speak with you in person. This meeting could take place in the police station, at your home, or other reasonable location. That will depend on what the officer did. 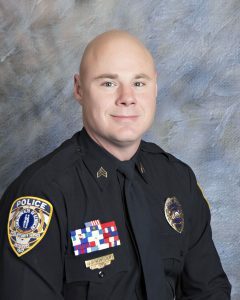 If the officer’s actions were criminal, the Daviess County Prosecutor’s office will be notified of the investigation and will help determine a course of action. If the officer’s actions were improper, but not criminal, corrective action will be taken by the Chief of Police. If the facts of the investigation support the conclusion that the officer’s actions were legal and proper, he/she will be exonerated. Should the facts indicate that your complaint is false, the complaint will be declared unfounded. You will, in any event, always be notified of the results of our investigation.